Today it’s easy to scroll through Instagram for a rush of fashion inspiration, but there’s one place that’s easily overlooked: the past. During the 1960s, fashion was colorful, creative, and dynamic. With French icons like Jane Birkin, models like Twiggy, and bombshells like Brigitte Bardot all serving as sources of inspiration. To honor those women of yesteryear whose fashion still inspires us today, we’re looking back at some of our favorite 1960s fashion. From bold and colorful, to menswear-inspired, there’s a little something for everyone. So prepare yourself for a peek backward at the origins of some of the trends we still wear today. Check out a few cool photos from the 1960s below! Model Jean Shrimpton wore a long coat with white tights and Mary Janes. Catherine Deneuve gave airport style a chic new twist. 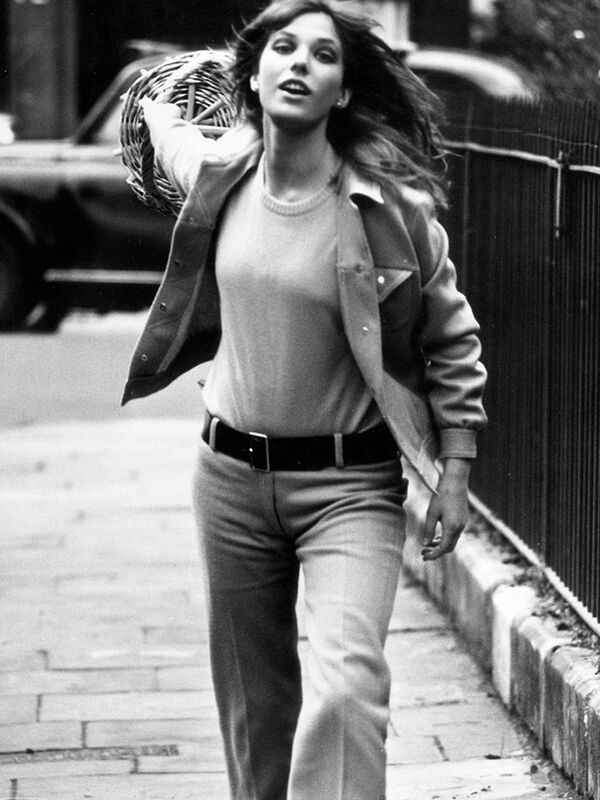 Jane Birkin is a style icon still revered today. It’s easy to envision this outfit on It girls today. Brigitte Bardot wore head-to-toe leather including over-the-knee boots. Jean Shrimpton showed off a chic maxi coat. It’s easy to imagine this dress and collared top styled together in 2017. A green dress and white shoes really pop. Kitten heels: popular in 1962, popular now. Iconic model Twiggy poses in a minidress. Cher’s high-waisted striped pants would look great with a tee today. Will bold tights ever make a comeback? Time will tell. Equestrian style way back when. Want something more modern? Here are the best fashion models in every age group!